Live, at Blanche Lavizzo Park for the rest of August! 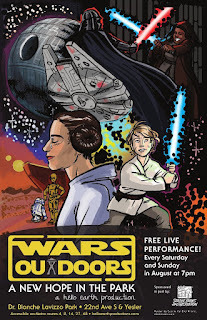 Come see a theatrical re-imagining of the classic SF film, A New Hope, replete with nontraditional casting, a clever DIY sensibility, and audience participation! Show runs less than 2 hours, beginning at 7pm every Saturday and Sunday in August. Hot dogs available for sale before each performance, and posters and T-shirts available on a suggested donation basis. 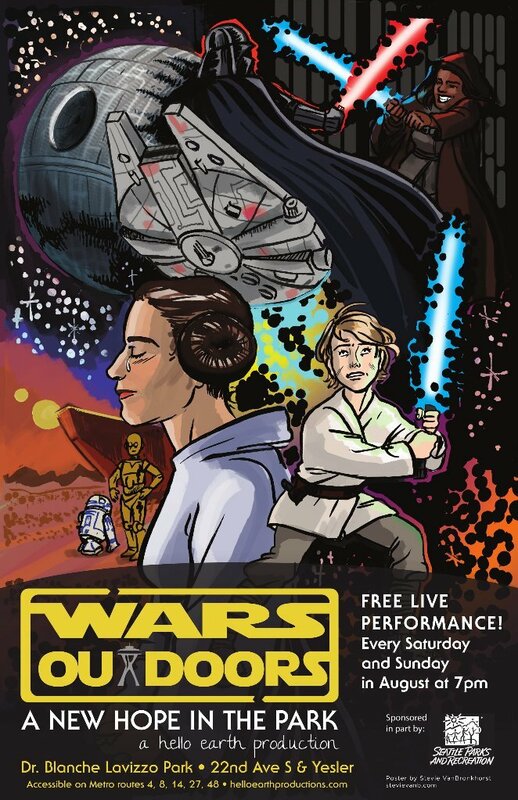 Come early, bring a blanket, and see Star Wars as you've never seen it before! Hey there would you mind stating which blog platform you’re working with? I’m going to start my own blog soon but I’m having a tough time choosing between. The reason I ask is because your layout seems different then most blogs and I’m looking for something completely unique. P.S My apologies for getting off-topic but I had to ask!